MEXICO CITY -- Volkswagen AG will start building a $550 million gasoline engine plant in Silao, in the central Mexican state of Guanajuato, next month, the company said today. The plant will be completed by 2013 and have a capacity of 330,000 engines a year, VW said. With 700 full-time employees, the plant will supply Volkswagen's assembly plant in Puebla, 75 miles (about 120km) southeast of here, and one being built in Chattanooga, Tennessee. The Puebla complex assembles the VW Jetta for the United States and other models for Mexico and Latin American markets. It also built the New Beetle until August and is expected to build a redesigned New Beetle for the 2012 model year. The Chattanooga plant is scheduled to begin building a new mid-sized sedan early next year. 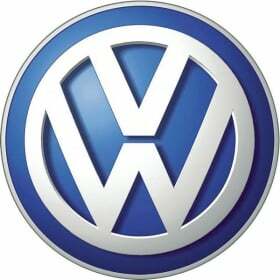 The engines built in Silao, about 250 miles northwest of the Mexican capital, will satisfy U.S. emission standards set for 2013, a VW source in Puebla said. A Volkswagen spokesman said details of the engine plant's content, such as the number of robots to be installed, were unavailable. "We might have this information within a couple of weeks," he said. Despite receiving fiscal incentives from municipal and state authorities to build the plant in Puebla, Volkswagen opted for Silao because of its “qualified work force,” an already-developed automotive industry and access to major road and rail links, Volkswagen said. It will be built on 148 acres at the Puerto Interior industrial park, close to a General Motors Co. truck plant and a cluster of two dozen auto industry suppliers. A Volkswagen spokesman said the German company also considered sites in the states of Coahuila and San Luis Potosi as well as Puebla state before deciding on Silao in Guanajuato state. He said Chattanooga never had been in the running but could not say whether other U.S. sites had been considered. However, the Milenio newspaper quoted Javier Maldonado Moctezuma, president of Puebla's Council of Business Organizations, as saying a “lack of flexibility” on the part of the Independent Union of Volkswagen de Mexico Workers (Sindicato Independiente de Trabajadores de Volkswagen de Mexico) had been a “decisive factor” in the company's decision to put the engine plant in Silao, more than 300 miles away. Volkswagen made the announcement at Los Pinos, the official presidential residence in Mexico City, during a ceremony presided over by President Felipe Calderon Hinojosa. Otto Lindner, president of the executive council of Volkswagen subsidiary Volkswagen de Mexico, led the Volkswagen delegation.